Join Spaceboy and Surlana as they talk with Red Viking Dave of the Metal Geeks Podcast. Thank You everyone! And thank you, SB and surlana!! Wasn't that fun? Thank you SB & Surlana for all you do!!! 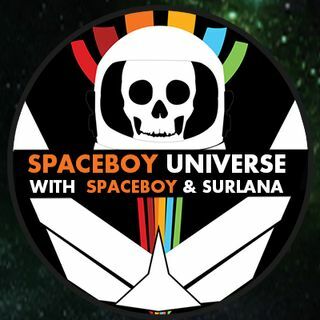 Thank you Surlana and Spaceboy!! Great show!! Happy New Year! !